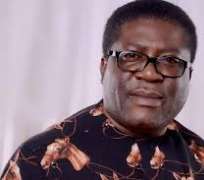 Project Madumere 2019, a campaign organisation of His Excellency, Prince Eze Madumere's 2019 governorship campaign has clarified that the Deputy Governor, Prince Eze Madumere will not play second fiddle in the next coming election, saying that the battle to liberate Imo State was a patriotic service to the State devoid of any hidden agenda for posterity sake. The release reads: The campaign body of His Excellency, Prince Eze Madumere wishes to inform its numerous supporters, members of All Progressives Congress and the good people of Imo State that Prince Madumere will not be playing second fiddle in the next political dispensation." The Deputy Governor's position was contained in a release signed by the Executive Secretary of his campaign organisation, Sir Chris Nwaike. According to the release, Prince Madumere's position is based on the fact that his resolve to lead a campaign to salvage the State from avoidable degradation to a mere fiefdom hatched to be superintended by family grown serf, was hearty service rendered to the people without expectation of any political reward in exchange. He therefore advised that such service should be totally separated from his governorship ambition. The release revealed that though the number two citizen of the State had wanted to contest the governorship of the State with a view to redirecting the affairs of the State but certainly considers his ambition as devoid of do or die affair. The release pointed out that the hallmark of leadership is the ability to let go for general public interest. The campaign organisation however posited that Prince Madumere remains a staunch founding member of APC and will work assiduously with members to ensure that the party comes out victorious in 2019 general election at all levels. Prince Madumere urged the the good people of Imo State to key into President Mohammadu Buhari's Next Level Policies and programmes by voting the party at all levels so as to ensure the State does not lose out in the well-thought-out policies and programmes of the party. The campaign also called on every member of the party to close ranks and work harmoniously to deliver all the party candidates in 2019.